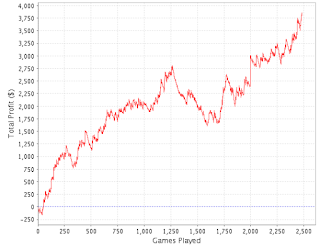 James Atkin's Poker Blog misread omaha sharkscope graph WSOP "I have a straight....."
Perhaps what's more astounding is that this guy went on to win the tournment for half a million dollars!!!???!!! In other news...I've had lots of positive feedback on the new blog, good to know my hard work hasn't gone unnoticed! Have written my 4th column for UK PokerNews on table layouts, which will go live on Monday and I'll link up here then. 1 Comment to ""I have a straight.....""
lol, think we have all had them moments in PLO but usually online.